Maybelline New York takes trends from the catwalk to the sidewalk, empowering women to make a statement. Whatever field you’re in, you must be a visionary—picturing your goals or dreams and turning them into reality, just like Sara Black. As a professional photographer, she thinks of different ways to present her subjects and captures them in the best light. She always strives to improve her craft, too. “What drives me is the need to stay current. That’s why I put my best work forward; never be complacent,” says Black. No matter what you do, do it in style. Wearing something chic whether you’re attending a special celebration or simply going about your everyday routine can be an instant boost to your mood! It’s what fashion designer Rosenthal Tee embodies, and she enables her clients to do the same with the details she infuses in her creations—from her NYFW runway pieces to her dreamy bridal gowns. 3. Enable others to be confident like you. 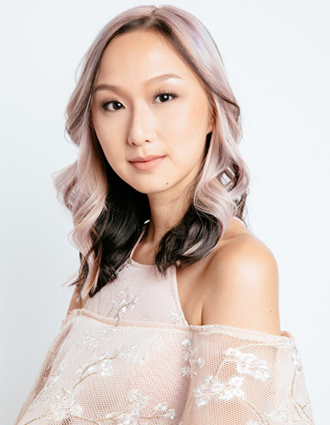 Celebrity stylist Kimi Yap has made a name in the industry with her vast experience in helping the biggest stars look their best. More than dressing them up in trendy pieces or flashy labels, she makes sure the celebs are comfortable in their outfits and totally confident while acting or making television appearances. P.S. You can do the same in your own little way, maybe through genuine compliments, careful advice, and positivity. 4. Be bold with your choices. You’ll never get anywhere by playing safe all the time! Take a risk and make the most out of every opportunity like Maureen Wroblewitz, one of the top four finalists in Asia’s Next Top Model. She’s never afraid to show her edginess and prove that she’s so much more than a pretty face. That’s how you get to the top! 6. Stay strong, no matter what obstacles you face. Balancing work and leisure can be tough, especially if your work requires so much of your time, but in order to succeed, you must soldier on. As an athlete, Dennise Lazaro knows the struggles all too well. 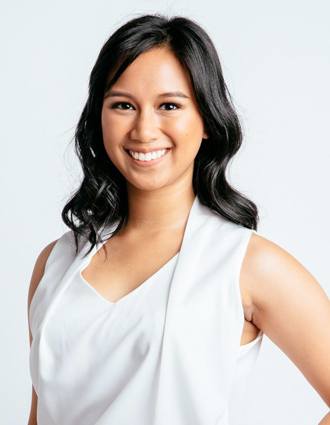 However, she demonstrates that it’s possible to juggle volleyball training, hosting gigs and other opportunities, and the normal life of a Pinay in her 20s—as long as you’re resilient. If something isn’t right, don’t be a passive observer. Find out how you can contribute to worthy causes, and take part in it to gradually transform the world you’re living in into something you love. Take your cue from Arizza Nocum, an education advocate. She’s part of a nonprofit that runs libraries in Zamboanga where Catholics and Muslims can interact and learn from each other. 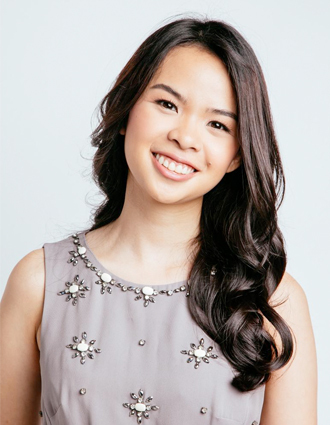 Arizza believes that education can be the first step to end the violence that plagues us. 9. Stay dedicated to your goals. Focus on the finish line, and don’t let distractions bring you down! It’s especially important if you’re passionate a bunch of things—like Janina Manipol, a model, photographer, fashion filmmaker, and editor. Even if she has various obligations and interests, she ensures that she does a great job and develops her skills in every one of them. 10. Never let your determination waver. What makes a Pinay truly empowered is her determination to be successful in whatever she does. You might have various competitors (including yourself! ), but if you aim for something and work hard for it, it will be yours. 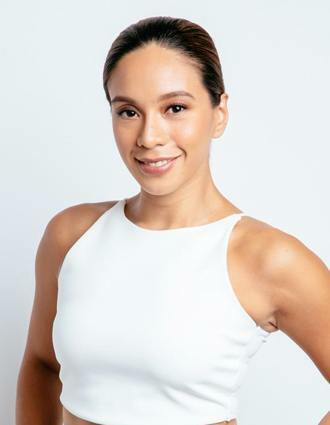 Ida Paras, a fitness guru, believes in this, and you’ll definitely see her grit and discipline when it comes to her lifestyle. Ida also instills the power of determination in her fellow indoor cyclists and Jiu-jitsu artists, so they can reach their #fitnessgoals, too! These empowered women are definitely making it big in their different fields, and Maybelline has partnered with them to inspire others to do the same. These Filipina “Makers” are in on the new “beauty trend” that goes beyond acing your makeup game. It’s all about making ‘IT’ happen—whatever it may be for you. It’s time to unleash the “Maker” in you and #makeithappen! Keep visiting www.facebook.com/MaybellinePhilippines. To know more about the Maybelline Maker campaign, visit www.maybelline.com.ph. To know more about Maybelline’s 10 Filipina Makers, watch this video. This article was created by Summit Storylabs in partnership with Maybelline.